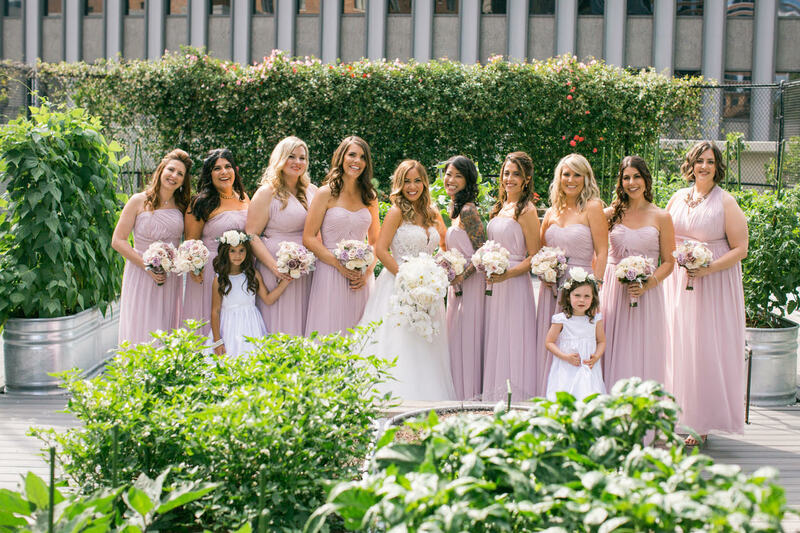 Very excited to share some bridal hair and makeup photos from a wedding I was the bridal makeup artist for that took place at the beautiful Jonathan Club in Los Angeles, CA. The bride and groom in the photos you are looking at are none other than Michelle and Justin Vititoe, two very dear friends of mine that are absolutely amazing people. As I’ve said many times before I love all of my clients, but there is something extra special when you get to play a part in your friend’s wedding. As you can see from the photos, Justin and Michelle had an amazingly beautiful wedding full of family, friends and fantastic food. All of the main ingredients for a wonderful wedding. Michelle wanted effortless looking curls with a little bit of volume on top for height. So that is what we did! To add length and natural looking volume to the hair we added clip in extensions, for her hair is a little past her shoulders – but you would never know it would you? I used a 1 and half inch barrel curling iron to set the hair in to position so that it can cool down for a couple of hours. Dropping the hair down adding a bit of tease to the top of the crown area and touching up and curls that needed it. To achieve Michelle’s makeup look I used soft tones on her eye lids- different hues of browns and golds with a slight smolder or dark chocolate brown on the outer corner of the eye to create soft yet striking detail to the eyes. You can see the fine details when her eyes are closed, yet when she opens them its a very soft look. Exactly what we were going for. We also added a mix of short and medium individual lashes by Ardell. This is something I do with all of my clients as it creates the perfect fluttery yet opened eyed look. 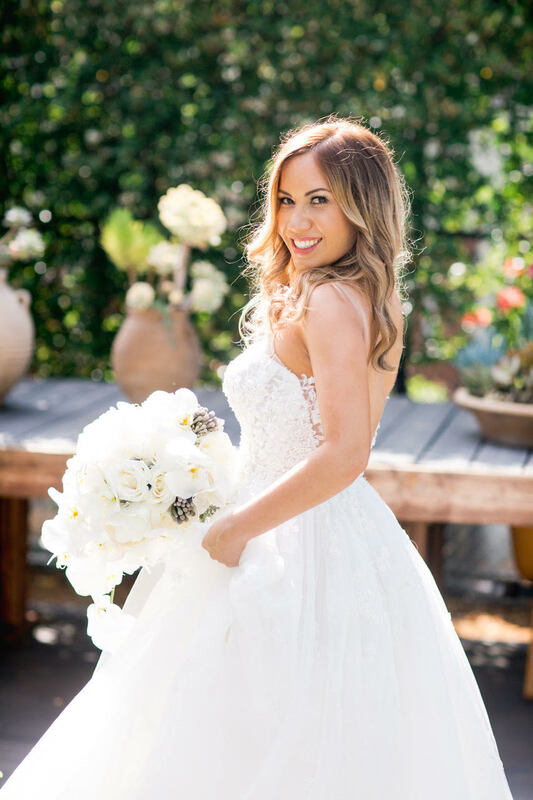 To finish the look we gave Michelle flawless skin using Makeup Forever HD foundation over 18 hour wear through my airbrush machine, which gave her skin the luminous baby toosh skin every bride dreams of. As you can see from the photos, Michelle looked absolutely gorgeous on her wedding day- I’m so thankful to have been a part of it. Wishing Michelle and Justin nothing but the very best in love and marriage!